Fun colored drawing of rabbits playing in the snow. 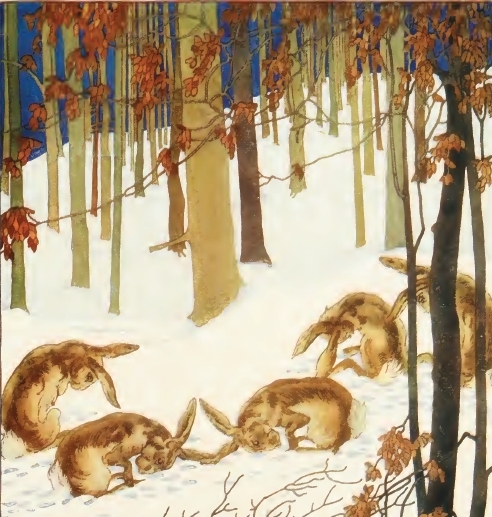 Seems like it still might be fall as there are still a few leaves on the trees above the 5 rabbits in this vintage drawing. They provide a great contrast to the blue sky and white ground.